Snap RJ-11/12 (telephone) lines into wall plates with our snap-in wall plate jack. Use our premium-quality unshielded RJ-11 panel jacks, in white. 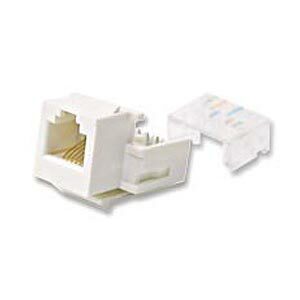 Does not fit RJ-45 (Ethernet) plugs.